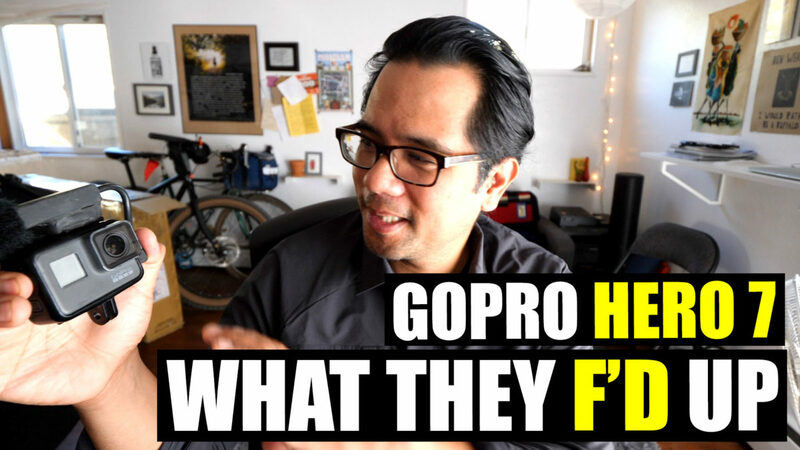 Home > Video > Is the GoPro Hero 7 Good for Vlogging? Is the GoPro Hero 7 Good for Vlogging? All our ride videos are made with GoPros, so when news of the new GoPro Hero 7 started trickling out we got excited. After watching hours of first look videos, the Gopro Hero 7 DOES improve in many new ways, but stayed the same in one key area: audio. While using the GoPro as an A-cam probably isn’t how it was imagined, it is how we use it. In this video, I talk about my thoughts after watching sound tests on the GoPro and my wishlist for future GoPros. I have the GoPro 5, myself. I haven’t really used it, all that much, since I bought it. Took me ages to get around to getting some appropriate mounts for it. I have a regular Sony Handycam, too, which may work better for some things (though, on the bike, an action cam would probably work better). As for mounts, etc, I recently picked up a clamp. Will be very useful for ‘ride by’ shots. A little on the heavy side, but will clamp to anything up to 60mm in width (roadside crash barriers & reflector posts, fences, small branches, etc). I have a GoPro Hero 6, and while I love the quality of the recordings, I can’t seem to make any good edits from the recorded material because the software that comes with it, GoPro Quik, is such garbage. What do you use for editing/cutting videos off the footage you record?